Posted by hslu in Global Affair. When the king US used to back isn’t favored by politicians of the nation US built, the king maker chooses a new king and tosses the old king away like a pair of old shoes. That’s what is happening to Maliki, the Iraqi leader put in place by the United States for I don’t know how many years. Maliki is doing just fine thanks to American tax dollar. He probably has swiss bank accounts worth hundreds of million dollars now. American green backs are a lot better than Iraqi dinars. Maliki likes it that way. In any case, Maliki is tired of losing to IS anyway. He is looking for a beach house somewhere. This is how screw up US foreign policy really is. Posted by hslu in China, Cold War, Energy, Global Affair, Islam, Obama, Oil, Politics, Putin, Religion. America has for decades played a ‘King Maker’ role with other countries’ governments in the world. It financed the opposition party of the govrrnment in power. It invaded other countries. It set up military bases and selected persons loyal to the U.S. and made them ‘King,’ all in the name of national security and in the name of promoting democracy as the supreme government system for the affected countries and the peace of the world. America then showered the new ‘King’ with American tax money and used billions of green backs to seal off oppostions’ objection hoping the new ‘king’ can fortify his new-found power under the protective shield of American military prowess. The ‘New World Order’ or ‘The Rule of Governance’ envisioned by the US for the world is ‘democracy’ in countries that’s important to the US and it has never been shy about its intentions. The problem is that it seldom works. 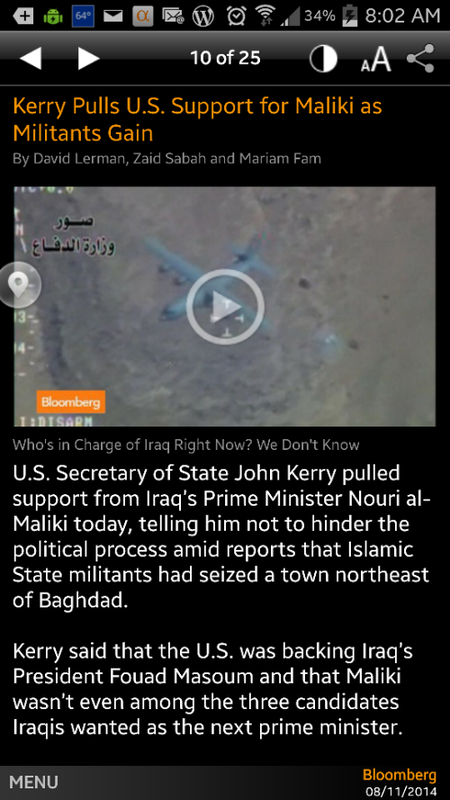 Take Iraq for instance: Maliki was put in power as a puppet for America. Maliki believed he has enough power and a strong military force to protect his power base. He asked US to leave because the opposition don’t want America in its country. It also believe that their oil production and export will be big enough to do without American’s financial support. The trouble for Maliki and American’s ‘democracy everywhere’ dream is that the religion got in the way. Well, I am not sure America will stop ‘making Kings’ around the world. They probably will avoid the Middle East and change its targets to South East Asian countries. America has a new ‘Cold War’ to fight with China. Mark my words! It is happening now no matter how much American government denies its intention. Well, the problem for America is that Obama has made Putin America’s enemy No. 1. Worse, there is no country in South America which can call America friend.